1. 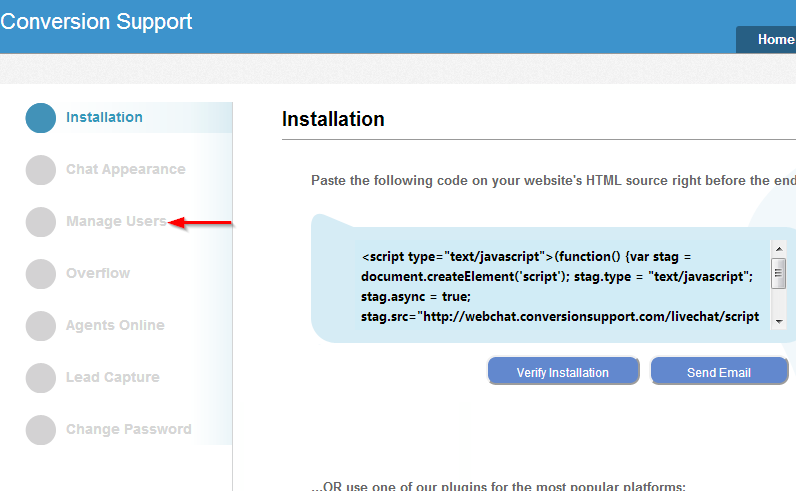 Login to your Conversion Support account and go to the “Settings” tab. 3. Under “Manage Users”, click on “Add New Member”. 4. 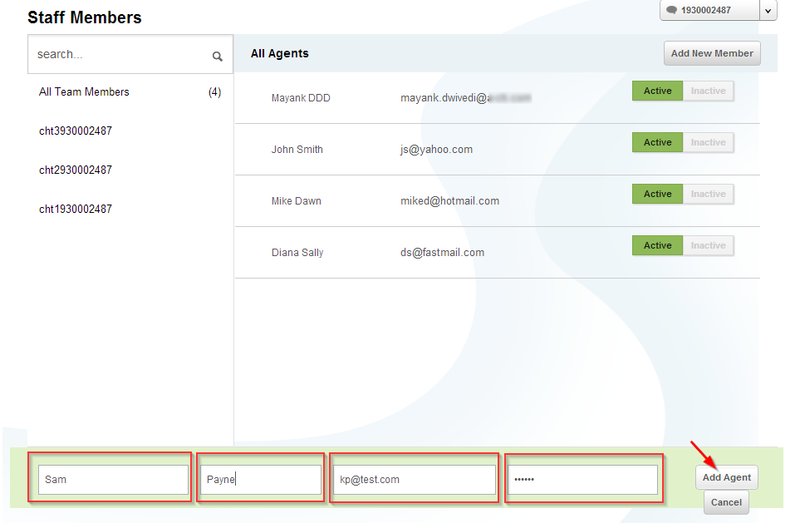 Next, enter the first name, last name, email address and password of the agent and click on the “Add agent” button. The live chat agent will be added to your operators list and he can use his account credentials to login to your Conversion Support account and take chats from your website visitors.